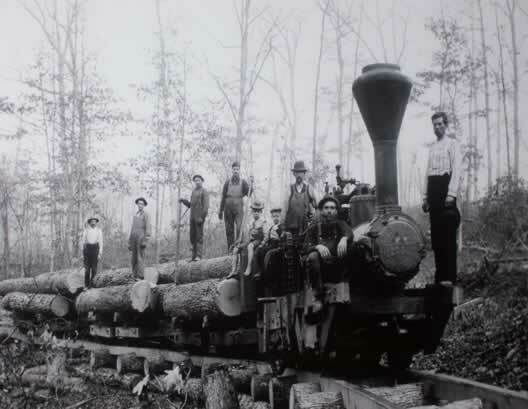 New River Hardwoods traces its roots to a rich history of forest stewardship. Long before the company entered the industry as a lumber producer, its predecessor affiliates actively managed some of the best timberland in the world. Professional silvacultural stewardship of this resource dates back to the early days of the twentieth century, and includes one of the first Tree Farms in central Appalachia. The rich tradition of forest stewardship continues today as a cornerstone to our commitment to quality. New River Hardwoods began lumber production operations in 1991 producing a modest three million board feet of hardwood lumber in its first year. The company continues to invest in this business, with the downsizing of the world-wide marketplace, so too did the company. The company has settled into the Appalachian Mountains of Eastern Tennessee and Western Virginia producing high quality hardwood lumber. With annual production capacity exceeding thirty million board feet. New River Hardwoods operates a modern hi-tech mill, lumber and log yards, dry kilns and secondary manufacturing facility located in the heart of the Appalachian Mountains at Mt City Tennessee. Shipping a wide range of high quality hardwood lumber products to our customers around the world. The company takes pride in its utilization of the timber resource, nothing is wasted, as the bark is converted to landscape mulch, the sawdust is used as boiler fuel to fire the kilns, and the chips are used to make paper products by our customers. We appreciate your interest in New River Hardwoods Inc. and look forward to the opportunity to exceed your expectations with our HIGH QUALITY APPALACHIAN HARDWOODS.